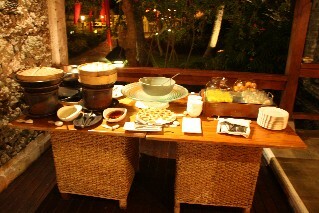 Restaurant information: Telaga Naga Chinese Restaurant is part of the Bali Hyatt Resort though it is outside the main Hyatt Resort area. 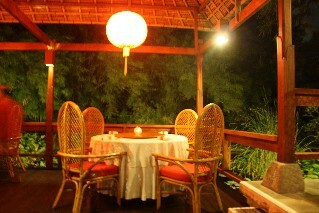 You will find the Telaga Naga Chinese Restaurant directly across the road from the Bali Hyatt Hotel. 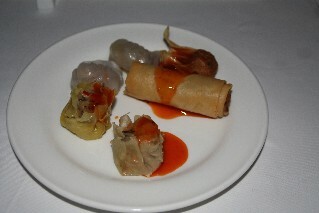 Friday night the restaurant has all you can eat Chinese buffet with a good selection of Chinese dumplings, spring rolls and a few different main meal dishes to choose from and a dessert buffet. 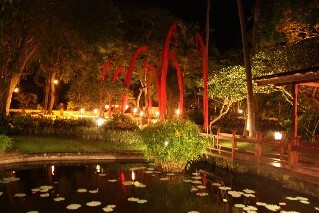 Nice decor and setting surrounding by water ponds. 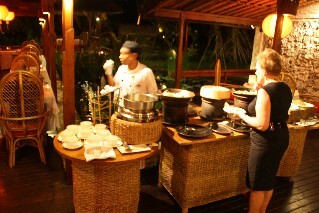 All you can eat buffet on Friday night is good food and the food is good quality. 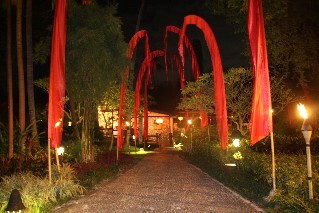 Have you dined at the Telaga Naga Chinese Restaurant Sanur Bali?